Established in 2000, First Storage Concepts supplies a wide range of shelving, racking and mezzanine flooring systems from their Distribution Centre in Pinetown, to clients throughout South Africa. 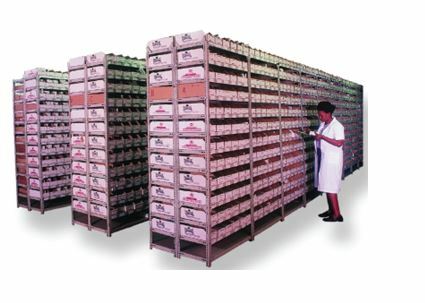 First Storage Concepts' high quality steel Dexion Shelving and Racking and Mezzanine Floor systems are designed to strict international standards, but the company proudly supports South African industry, supplying only locally manufactured products. Andrew Bailey, Director of First Storage Systems, points out that that the management team has more than 100 years combined experience in office and storage management. "Our experience means that we can real value for our clients. We don't just sell shelving and racking; we also help our clients plan the most effective system for their particular organizational needs - and their budget. Our specialist consultants conduct on-site visits to asses each client's needs and objectives. This "needs analysis" is translated into a personalised design, guaranteeing them the best possible solution to their requirements." Bailey also stresses that this approach not only provides the optimum system, it also saves time and money. The indispensable First Storage Concepts Shelving System is ideal for domestic, commercial and industrial use. Ideal for mini-warehousing, off-site storage, garages, DIY, archive storage and even relatively heavy loads, the shelving units are easy to install. They are also simple to dismantle and reassemble, providing a highly versatile storage solution. The First Storage Concepts' state-of-the-art High Density Mobile Filing System is the idea office storage solution. Perfect for everything from lever-arch files, archives and medical records, to museum artefacts and art gallery storage, the High Density Mobile Filing System stores high volumes of material in a very limited space, while still giving easy access to the contents of the system. And with the choice of manual or mechanical drives, this space-saving system simplifies office storage. 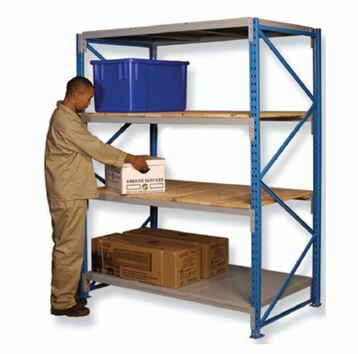 Light Duty Racking is used for awkward or bulky loads. It can be designed for single, multi-tier or high rise applications, and is ideal for order picking or bulk storage. It can be designed to meet a wide range of loading requirements, in a choice of materials to meet specific needs. The Light Racking System is flexible, easily adjustable, and easily configurable, and provides perfect storage with easy access to all the shelves. It is also idea for warehouses, archives, workshops and stores. The First Storage Pallet Racking system is ideal for those who need optimum, allowing for storage of palletized materials in multiple levels. And the wide range of options and components available means the system can be tailor-made for the varying needs of different types of forklift trucks (Free layouts available). The Specialized Racking Systems are manufactured to the exact specifications of the customer, and includes options such as Drive-in Racking and Cantilever Racking. Mezzanine flooring can be used to double or even treble your floor space by building an extra floor within an existing building, and are a cost effective alternative to moving premises. 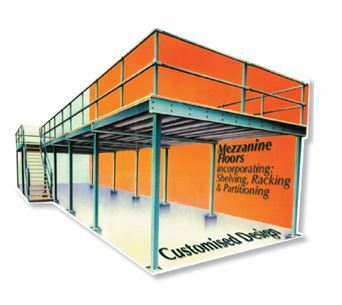 Quick to install, the First Storage mezzanine floors consist of a platform supported by racking or structural beam sections. The company also keeps a well-stocked Showroom in Pinetown, with examples of their various systems and clients may visit First Storage Concepts, by appointment, to view the available options prior to purchasing their system. Full Name of Company: First Storage Concepts KZN (Pty) Ltd.